Kurt Becker with Keeneland oversees Young Professionals Panel of l-r Jack Carlino, Megan Hebbert, Chance Timm, Ben Henley, Anthony Koch. 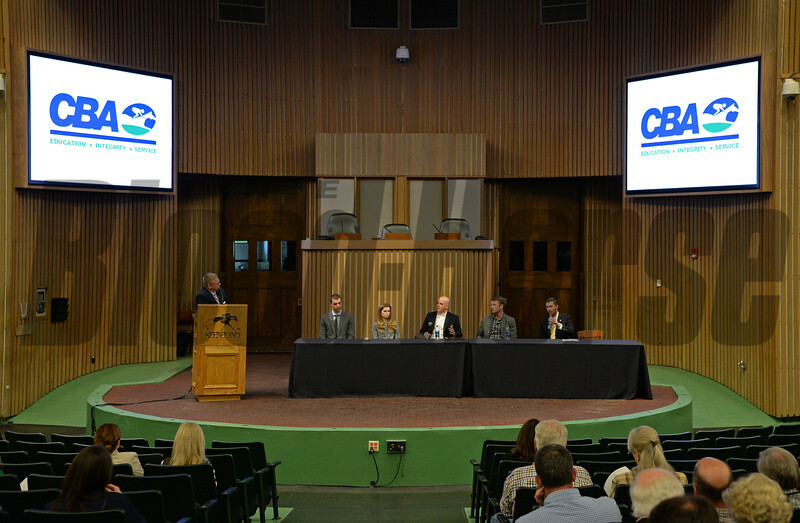 CBA (Consignors and Commercial Breeders Association Educational Symposium at Keeneland. April 17, 2017 Keeneland in Lexington, Ky.